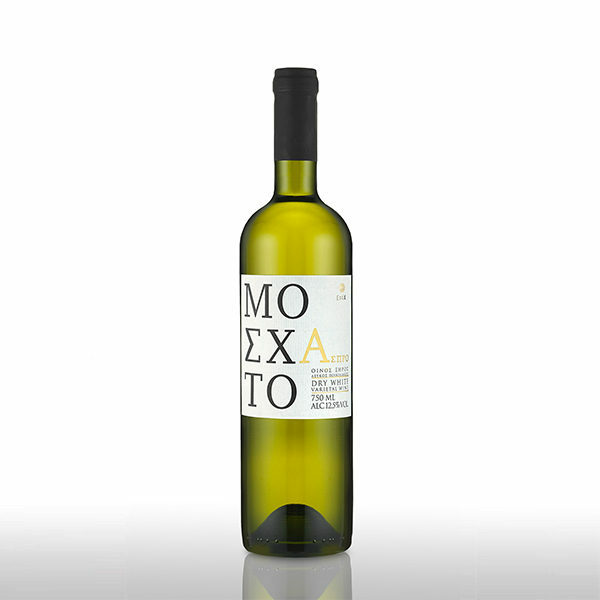 MOSCATO ASPRO (White Muscat) - Ε.Ο.Σ.Σ. 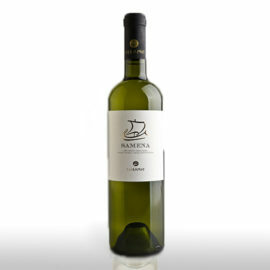 The White (Aspro) Muscat variety has been cultivated in Samos for centuries and has been inseparably linked to the history, tradition and wine culture of the Aegean Sea island. 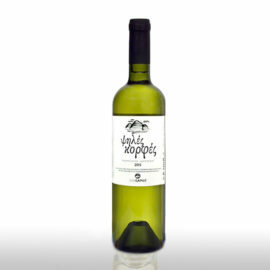 The dynamic potential of this grape with the fruity and floral characteristics in the mouth and nose, presents a “crisp”, refreshing acidity and gives this wine an intense, “weighty” personality. 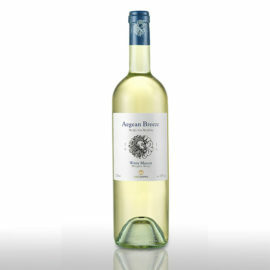 It is produced from Muscat grapes from semi-mountainous, non-irrigated vineyards on dry-stone terraces. Easy on the eyes, it has an attractive, bright, yellowish colour and greenish hues. The aroma is rich and “full”, reminiscent of ripe, white fleshed fruit, such as peach, apricot and melon, spread over an exceptional background of discreet expression of the Muscat character. With a complicated mouth, it is fruity and balances wonderfully between dry and sweet. Although the aftertaste is subtly sweet, the freshness of the grape predominates and creates a harmonious whole. It accompanies exquisite dishes of international and Greek creative cuisine with poultry, fish, seafood as well as Far East dishes with sweet and sour flavors. Served at 8-10 ° C .